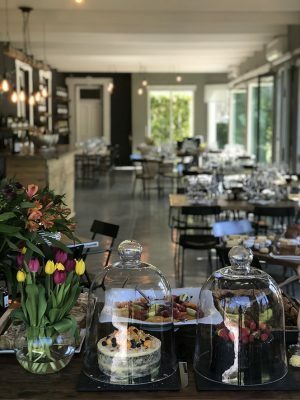 Enjoy the laid-back side of Franschhoek with delicious country-style food and weekend family braais at The Bistro at Grande Provence, starting on Heritage Day, on Monday, 24 September 2018, on this picture perfect wine estate. The Heritage Day Braai will be held under the oaks on the lawns of the new Bistro. Meat lovers can delight in a variety of braai specialities prepared on the coals in traditional half drums. This is authentic South African heritage at its best for family and friends. The Bistro’s harvest table, laden with fresh salads, home-baked breads and sweet treats, completes this easy-going lunch experience. Wine is as important as the food at a braai and with the wide selection of Grande Provence wines, you will be spoilt for choice. The Heritage Day Braai and subsequent weekend braais on Saturdays and Sundays, are available at R320 per person for adults and R160 per child under 12. The braai starts at 12h00 and pre-paid booking is essential. Call Tel: (021) 876 8600 or email reservations@grandeprovence.co.za.